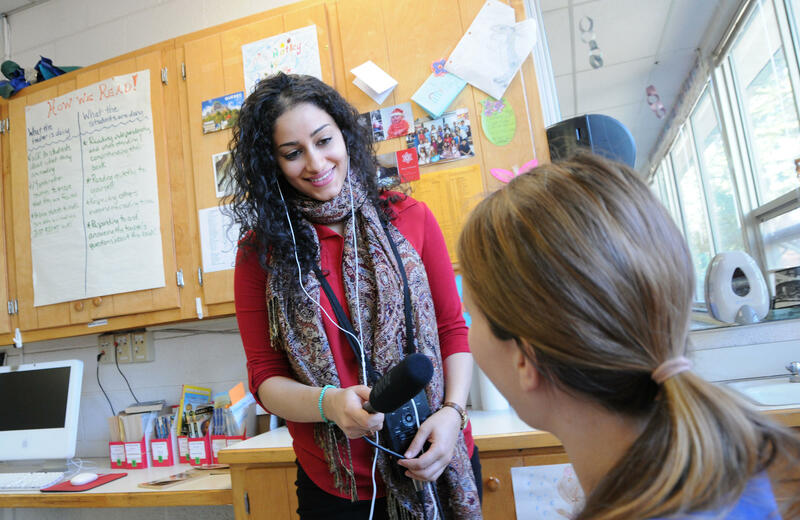 WUNC has launched a new teacher blog. It's on Tumblr, and is called The Teachers' Room. Our goal is to find and highlight writing by and for teachers. We'll also share some of our education reporting there. Please follow us! WUNC is in the midst of a yearlong examination of what it's like to be an educator, called the North Carolina Teacher Project. This week, we're exploring what it takes to make a connection in the classroom by asking students to interview their teachers. Northern High School sophomore Christina Dixon entered Erica Walker-Joynes' exceptional children's class last year because she was deemed to be at risk for dropping out when she got to high school. Ryley McGinnis was shy and hadn't thought much about performance poetry when she entered Mackensie Malkemes' English class at Carrboro High School, but a year later, Ryley is writing and reading her poetry out loud whenever she has the chance. Middle school teacher Steven Simmons says he was a little overwhelmed in 2005 when he started his career at Estes Hills Elementary School in Chapel Hill. But third graders like Aditi Goyal kept him going in those early days.